Our Salisbury Maryland hotel is located 5 miles north of the Salisbury/Wicomico Regional Airport. 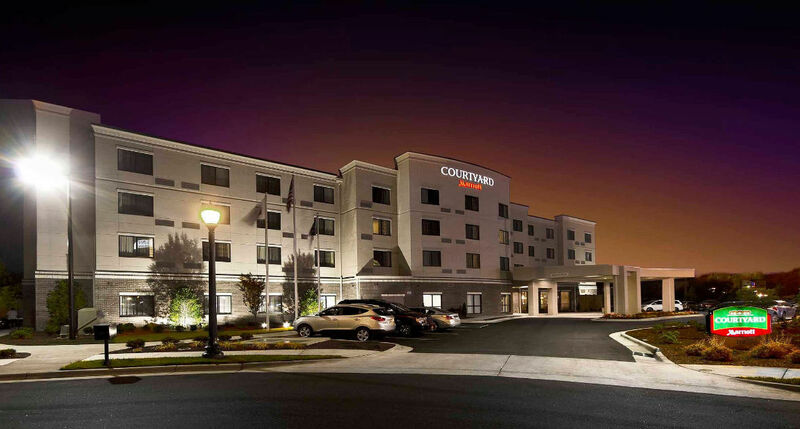 This Salisbury area hotel is convenient to the Delmarva Shorebirds Stadium, Salisbury University and Peninsula Regional Medical Center. In addition, the Courtyard Salisbury hotel is centrally located among Salisbury's major businesses. Looking to go to Ocean City, MD without breaking your budget? Our Salisbury hotel is only 25 easy miles to the beach. Relax in our spacious guestrooms that feature high speed internet, luxurious bedding and fluffier pillows. Work out in our exercise room or unwind in our indoor pool with a whirlpool. Our Courtyard Cafe will satisfy you with a hearty breakfast in the morning. The Salisbury Courtyard hotel features meeting and function space that can accommodate up to 50 people. Our friendly staff awaits your arrival to the Courtyard by Marriott Salisbury.